In the spring of 1977 Paul, Mary, and 11 year old Rick Como migrated from Brentwood, New York to Citrus County. Soon after settling, they opened Paul Como Auto Sales and gradually overcame the difficulties of starting a new business in a new place. 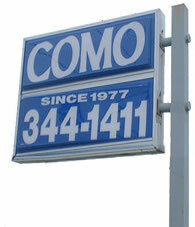 With hard work and great effort Como Auto Sales has become a success story. When they opened up on Highway 41 North in Inverness, Paul and Mary specialized in helping people in financing preowned vehicles. They were able to help hundreds of people purchase a vehicle that would fit both their needs and more important, their budget. As the months and years rolled by, Paul Como Auto Sales developed due to repeat customers and word of mouth recommendations. As the business grew and inventory expanded, so did young Rick Como, learning the business from the ground up under his father's watchful eye. Rick went through the Citrus County School system and graduated from Citrus High in 1984. Paul, Mary and young Rick Como lived the family life in a family owned business, taking part in community functions and local events. Paul Como became well known in the automobile retailing business and was respected by dealers from Crystal River to Ocala. He was a familiar personality noted for his friendly, easy going ways. Paul Como used this gentlemanly manner in the everyday business of buying, retailing and wholesaling quality automobiles. Paul's well intentioned efforts to help people satisfy their transportation needs was growing into a huge success. Sadly Paul passed away in 1993 and while his presence has been missed, his expertise had been passed along to his son and so today Como RV, Truck, Auto, Sales, Service, & Body Shop remains a reliable family business. Rick Como had taken over the business affairs in 1990. 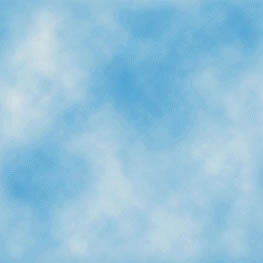 He and his wife Dawn operate in the same manner that had proven so successful for his parents. Mary Como has continued to work in the office each day handling the various details needed to transfer vehicle titles and secure appropriate license tags. With the growth of the business and its inventory Como Auto Sales Purchased a larger piece of property and increased the number and quality of vehicles on hand. The new building afforded room to provide a modern repair and Body Shop to service the New and Used inventory. The Como organization is proud of its long term employees. ASE Certified master mechanics and ICAR certified Body Shop tech provide the repair and service functions that have become a part of Como, RV, Truck, Auto, Sales, Service, & Body Shop reputation for quality RVs, Trucks, and Autos. In 1996 Jerry Leverne, who has been a Citrus County resident for many years and is well known in the automotive circle, was hired to round out the sales and management team. His years of experience have been a great help in Como RV, Truck, Auto, Sales, Service, & Body Shop achieving its goal of providing transportation and satisfaction to all customers. So in 1999 Rick, Dawn, and Mary Como sold their 7500th used vehicle. Today Como Rv, Truck, Auto Sales-Service & Body shop offers late model vehicles of all types, both domestic and foreign, Our Rv Division includes; Class A, Class B, Class C, Travel Trailers, and Pop-Up Tent Trailers. 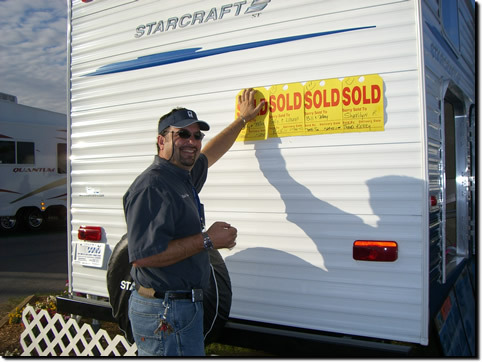 New and used Rv's include "Fleetwood, "Aliner", R-Vision", "Gulfstream", "Newmar", and "Starcraft" We also offer and service a wide range of warranties including in-house warranties as well as outside warranties. Como RV looks forward to meeting old and new customers in 2018.